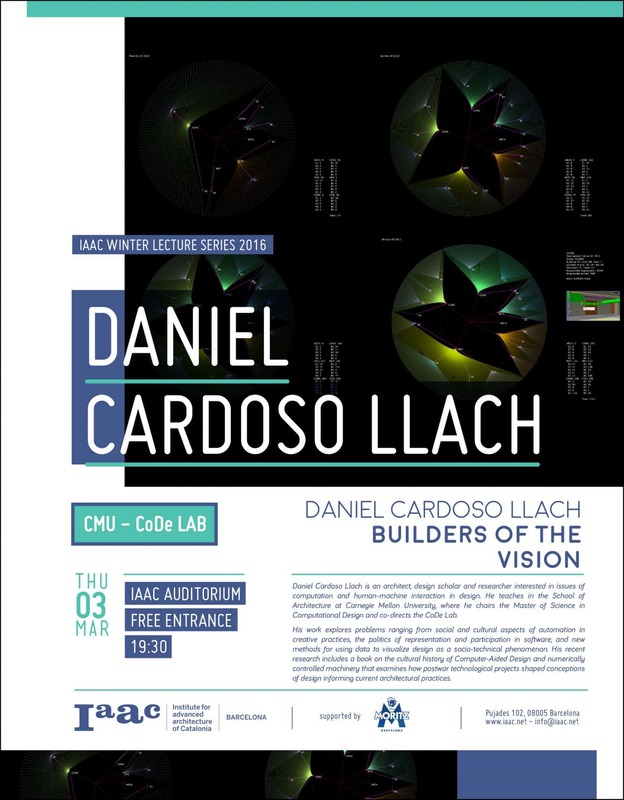 Daniel Cardoso Llach is an architect, design scholar and researcher interested in issues of computation and human-machine interaction in design. He teaches in the School of Architecture at Carnegie Mellon University, where he chairs the Master of Science in Computational Design and co-directs the CoDe Lab. His work explores problems ranging from social and cultural aspects of automation in creative practices, the politics of representation and participation in software, and new methods for using data to visualize design as a socio-technical phenomenon. His recent research includes a book on the cultural history of Computer-Aided Design and numerically controlled machinery that examines how postwar technological projects shaped conceptions of design informing current architectural practices.